If you’re looking for a van for “serious work,” the 2017 Chevrolet Express 2500 work van, now for sale in Naperville, IL, has a lot going for it according to Kelley Blue book. With features like an available 2.8L Duramax Diesel engine, an optional 6.0L V8 powerplant, and towing capability of as much as 10,000 pounds, the Express Cargo is built to get the job done no matter how big. 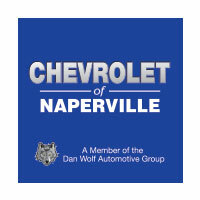 Browse our inventory of capable full-sized vans here, then read on to see why, when you want a good deal on the vehicle you need, you should think Chevrolet of Naperville first. At Chevrolet of Naperville, we offer more than just a comprehensive inventory of heavy-duty 2017 Chevrolet Express 2500 work vans for sale in Naperville, IL; we make it easy to find, afford, and service your vehicle too. Check out our online inventory and find the vehicle you want, contact one of our friendly sales associates to learn about the rebates and incentives available on your choice, calculate your payment, value your trade, and even apply for financing from the comfort of your home. If it’s service you need, we can help with that too. Schedule an appointment with our factory-authorized technicians when it’s most convenient for you or, if you prefer to do the work yourself, order parts or get advice from our knowledgeable parts department. From start to finish we make it simple to own and maintain the vehicle you need to keep your business humming, so you can concentrate on more important things.